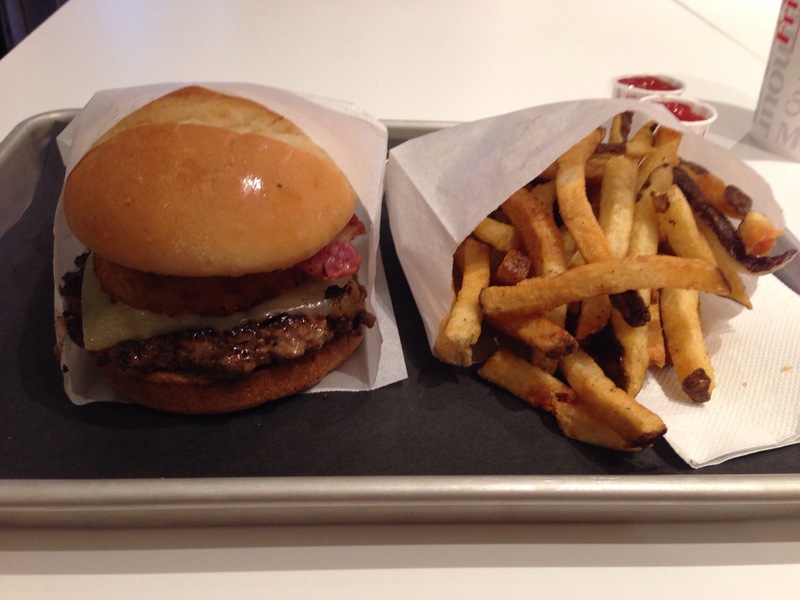 Served up on a silver tray, and neatly tucked inside of it’s paper wrapper, this burger looked very clean and appeared to be constructed really well. The patty’s shape was really nice, and it looked like it was cooked just long enough so that the level of juiciness was maintained throughout. I loved how the toppings were perfectly stacked in a neat little pile on top of the patty, and it really gave the feeling that the person making this burger took that extra 30 seconds to make sure things weren’t just tossed on there. My only real complaint when I first saw this burger was that I was somewhat worried that it wouldn’t be big enough to satisfy my growing hunger at the time. I have to say, I was pretty impressed with this new menu addition. The mushrooms were full of flavour, and I liked how they used the (delicious) onion ring as a sort of bowl to contain them (it really made the burger a lot less messier). 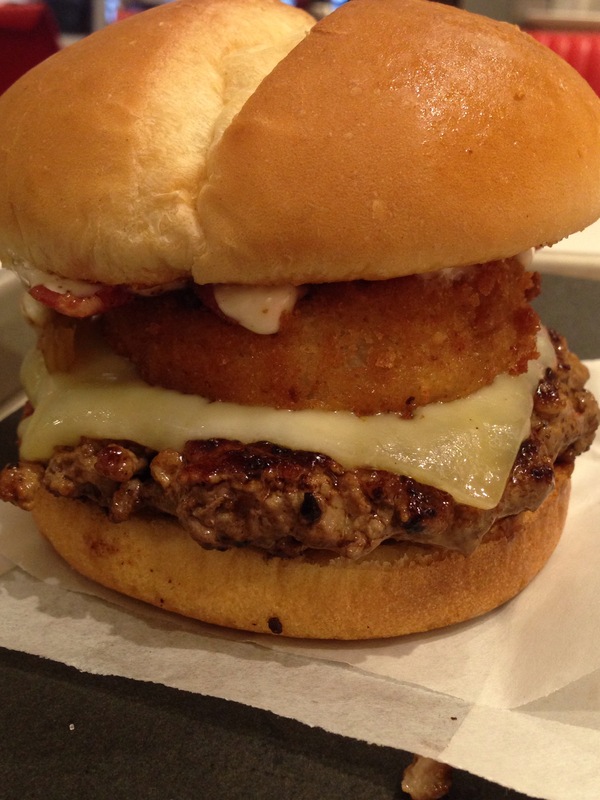 The meat components on this burger were also really great. The bacon was nice and thick, and you could really tell the quality of the beef used for the patty as it had a great taste and texture to it. I also have to give props to the bun they used. The way they butter-toast it really gives it a great flavour and texture, and I enjoyed how much it added to the meal. My one complaint about this burger was that there was quite a bit of the horseradish mayo on it. I really liked the taste of the condiment, but I could have done with half the amount that was on the burger. The cost of this burger is $9.49 (plus another $3.49 if you want to add a fountain drink and fries). You can’t really argue with the price as you a getting a really delicious burger for a cost that won’t break the bank. You could argue that this burger isn’t as filling as other places, but as long as you are not starving to death, you will leave satisfied. Trust me! Krave continues to impress me. I’m really glad to see that they are willing to change up their menu so they have new options for their loyal customers. They also manage to create burgers that are simple in concept, but really awesome in taste, and I feel like that goes to show that they know what they are doing. 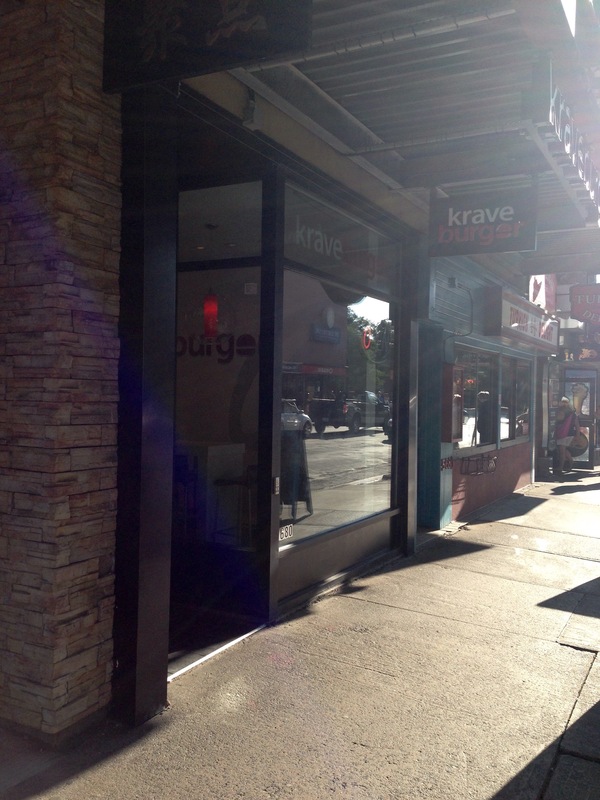 If you haven’t been to Krave yet, you’re missing out!